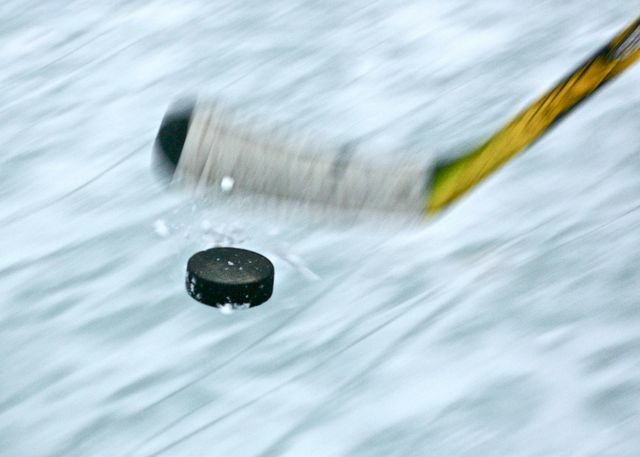 are both the stick and the puck in motion? bravo! thought so as it seems the ice is in motion too. sometimes it's better to be lucky than good. it's got stock written all over it. Love the motion shot! To me, it looks like an artistic shot. This is an incredible picture!! Great job - even if you're not quite sure how you did it. Love it!